Arrange 9 pretzels on a baking sheet. 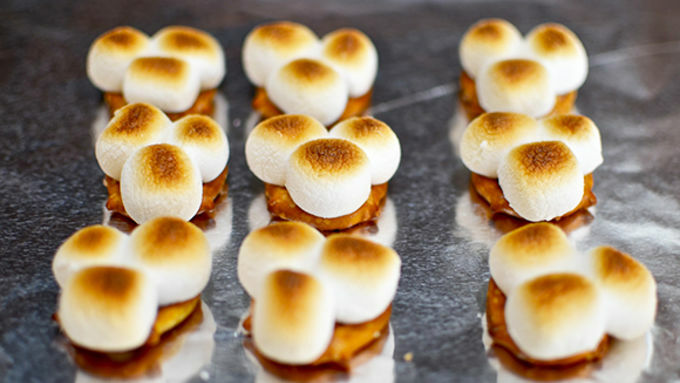 Cover each with three mini marshmallows. Broil until toasted. 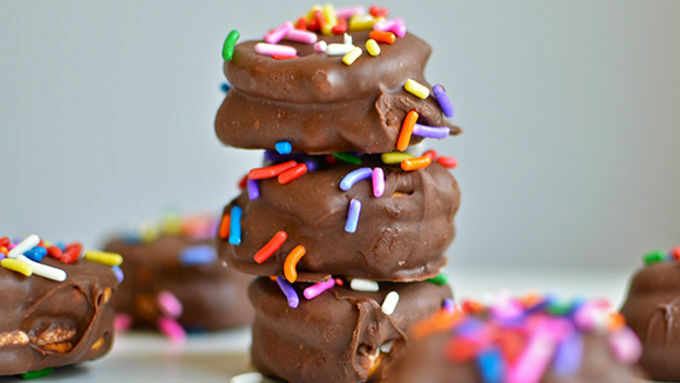 Top each with a square of chocolate. 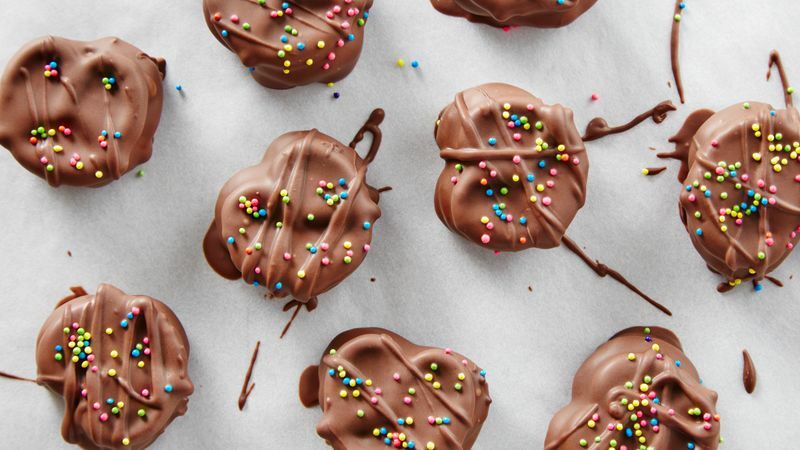 Turn off the broiler and return the pan to the oven until the chocolate melts. Top each with another pretzel. Allow to harden (you can put it in the freezer if you're in a rush). Melt the chopped chocolate in the microwave, stirring every 30 seconds until smooth and thin enough to dip s'mores into. When the pretzels are firm enough, dunk each one in the chocolate using a fork. Tap the excess chocolate off, allowing it to return to the pan. Sprinkle with jimmies or other sprinkles if desired, and place s'more on waxed paper to set. Happy National S’mores Day! Yeah, it’s a real thing. And lucky for you, because that means today we’re making s’mores! 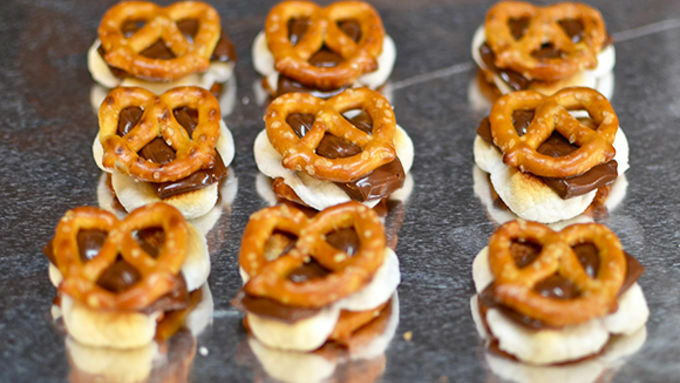 These Chocolate Dipped Pretzel S'mores may not look like s’mores to you, but I assure you, at their heart they are brothers. We start out with some pretzels, add some marshmallows, chocolate, more pretzels, and more chocolate! Then just throw on some sprinkles and call it a day... ...National S'mores Day, that is! The trademarks referred to herein are trademarks of General Mills.